Mesdames, lights are all on the most famous of athletes: Renée! In white leather and black reptile suede with velcro straps, this tennis shoe will get your attention. 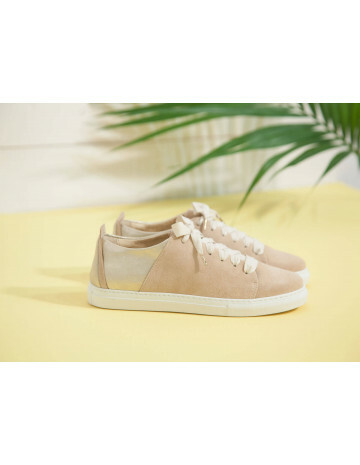 Chic, stylish, and laid-back, everything you need in a tennis shoe. Go for your regular shoe size. If you are between two sizes, choose the greater of the two.